Orville C. Cornwell was a remarkable man who went to be with the Lord, after a long courageous battle with Alzheimer's Disease. He left this world surrounded by all the people who he held dear including his doting wife Vickie who he called “His Queen”. He was born on April 1, 1938 which gave him a license to be a jokester and always have an infectious smile on his face. Orville had a zest for life as a hard worker, passionate sports fan and an avid traveler with his best friend Phil. He was a fierce bowler with many trophies he was proud of. In the 1970’s and 1980’s he was a proud member and even the President of the Fraternal Order of Eagles where he contributed to many charities, and always participated in the eagles annual softball league. He retired from the Little Sisters of the Poor where he met the love of his life. He was truly a one-of-a-kind soul that will be greatly missed by all that knew him. He is survived by his wife Vickie (Zuniga) Cornwell; daughters Angela Cornwell (José), Kim Smith, Mary Whiteman, Debbie (John) Whyte, and several loved step children. Grandchildren, Rosalee, Breanna, April, Jason, Crystal (Star), Jackson, Angel (Andy), Miranda, Robbie (Ashley), Corey & so many other loved ones including his great friends, Becky Schools, Julie Conar, and Mr. & Mrs. Malone. He is preceded in death by his parents, his son-in-law Robert “Bobby” Whiteman, son-in-law Don Smith, daughter Sherri Miles, and his best friend and partner in crime Phil Sifert. Family and friends may visit the Freck Funeral Chapel, 1155 S. Wynn Rd in Oregon on Tuesday, January 29, 2019, from 2-8 p.m. A funeral service will be held Wednesday, January 30, 2019 at 11 a.m. at St. John’s United Church of Christ, 1213 Washington St., Genoa, OH 43430. 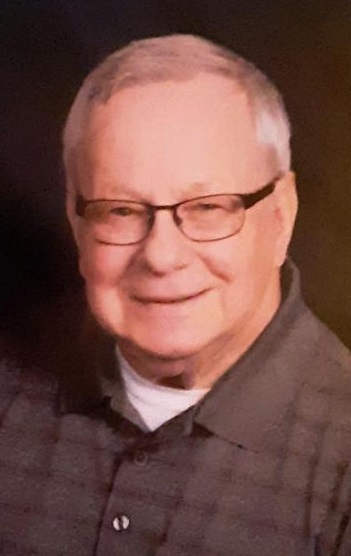 Graveside service will be held Saturday, February 2, 2019 at 11 a.m. at St. Ignatius Cemetery.